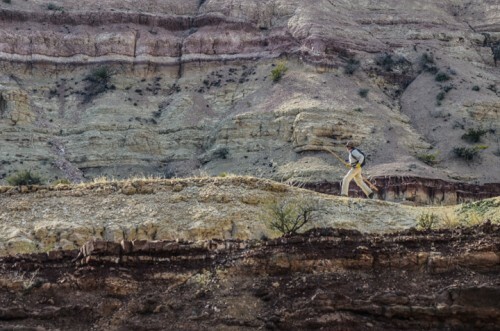 For Jon Kalb, each step on the desert floor brings a measure of excitement with the possibility of discovering something new. 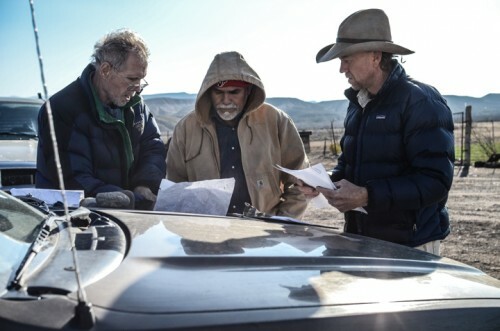 A retired research geologist with the Vertebrate Paleontology Laboratory (Texas Memorial Museum) at the University of Texas, Kalb has been visiting Big Bend for over a decade conducting paleontological surveys. 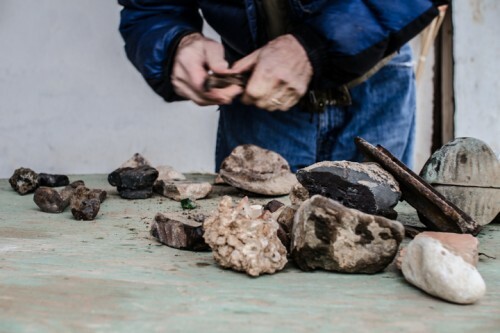 “Big Bend, with its arid landscape and minimal vegetation, is an ideal place to look for artifacts and fossils,” Kalb says. 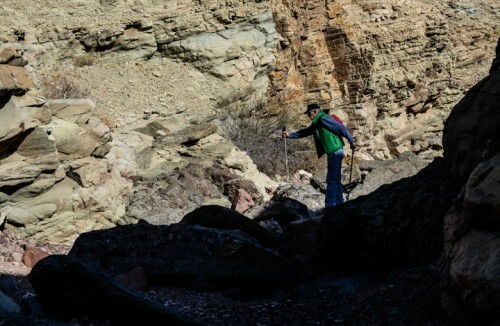 The intensely faulted terrain of the Sierra Viejas stretching northward from Candelaria is reminiscent of Africa’s Great Rift Valley where Kalb spent much of his professional life. Most Notably, he was the co-founder of the International Afar Research Expedition that recovered the 3.3 million year old Lucy skeleton. Controversially, he was also expelled from Ethiopia in the mid 70’s admist fabricated allegations he spied for the CIA, which he recounts in Adventures in the Bone Trade: A Race to Discover Early Human Ancestors in Ethiopia’s Afar Depression. The experience inspired Kalb’s only novel: The Gift, Discovery, Treachery & Revenge, set in the Rio Grande Valley of West Texas. 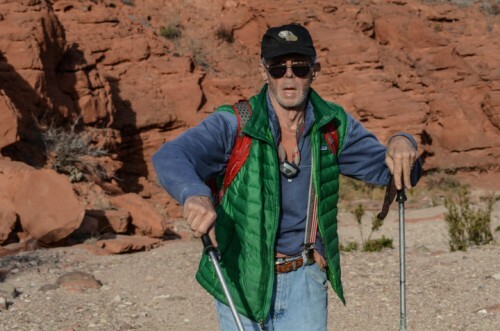 Although Parkinson’s Disease has reduced his mobility, he presses on with the aid of two duct taped hiking poles, his silhouette sometimes resembling a spider, both awkward and elegant, as he searches the broken badlands and arroyos for fossils. 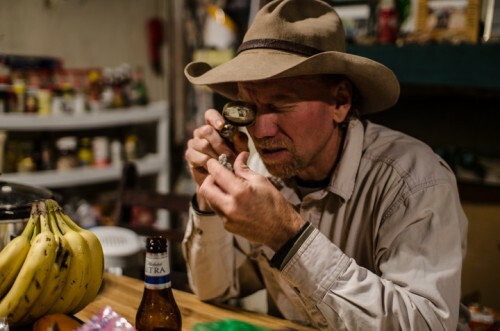 David Keller, senior project archeologist for the Center for Big Bend studies at Sul Ross State University, has served as the archeological consultant on several recent field trips. 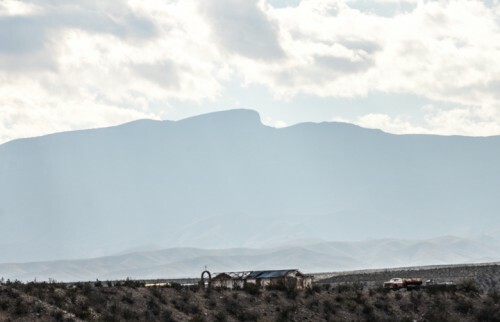 And Far West Texas, with its vast geological exposures, offers the perfect laboratory for Kalb’s and others continuing adventures. 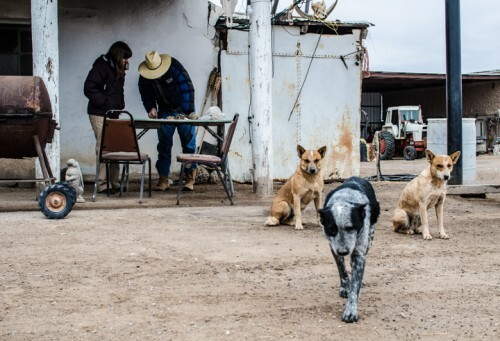 Jessica Lutz is a citizen reporter for KRTS, Marfa Public Radio. 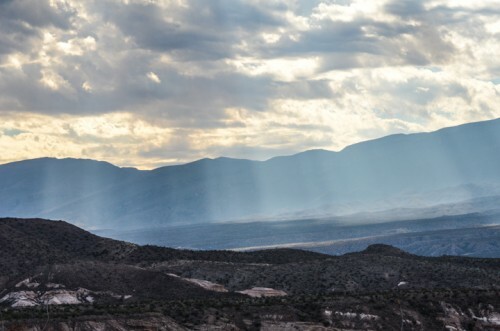 This entry was posted in KRTS News and tagged big bend, Geology, Rio Grande Valley, science. Bookmark the permalink.